I am an experienced and qualified careers advisor and CV writer with experience of employability, and a passion for the personal and professional development of others. I have been writing CVs and I have supported hundreds of clients to write their CVs, applications and supporting documents across a broad range of industries. Originally from the New Forest I moved to Gloucestershire to pursue my degree in Hospitality Management at the University of Gloucestershire. 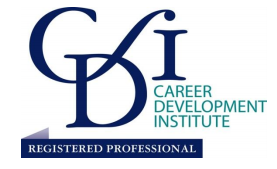 Having completed a degree in Hospitality management I secured a role within HR and recruitment, however, I soon realised I wanted to specialise in career development, coaching and mentoring. I completed a postgraduate careers qualification in careers guidance at Warwick University, and I have worked as a qualified careers advisor since 2010. During this time I have forged a track for providing client focused impartial, advice and guidance. I have delivered employability programmes to the long-term unemployed in the community and worked with students in schools and further education. I have also supported many clients including those looking to change careers, individuals looking to return to work after a career break and graduates and students looking to secure their first position.